LMRC has set 31 December 2018 deadline for removing all the barricading on roads on North-South corridor from Chaudhary Charan Singh Airport to Munshipulia where construction work is currently underway. 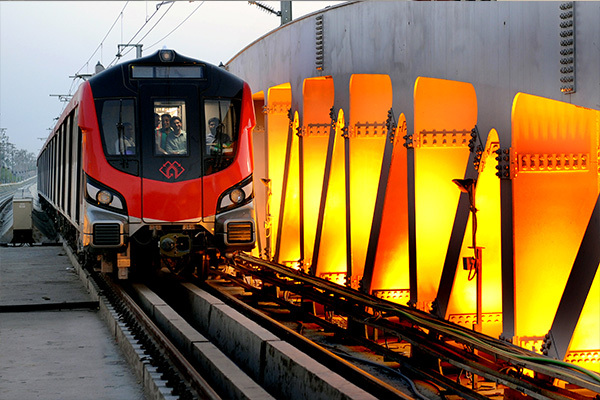 Lucknow, Metro Rail News: The Lucknow Metro Rail Corporation (LMRC) has set 31 December 2018 deadline for removing all the barricading on roads on NorthSouth corridor from Chaudhary Charan Singh Airport to Munshipulia where construction work is currently underway. When Metro Rail News took stock of the situation, it was found that Metro construction work is still in progress from Badshahnagar to Munshipulia. “After completing the construction of phase-1, we will start the tendering process for the construction of phase-2 (Charbagh to Vasantkunj),” Shrivastava said. 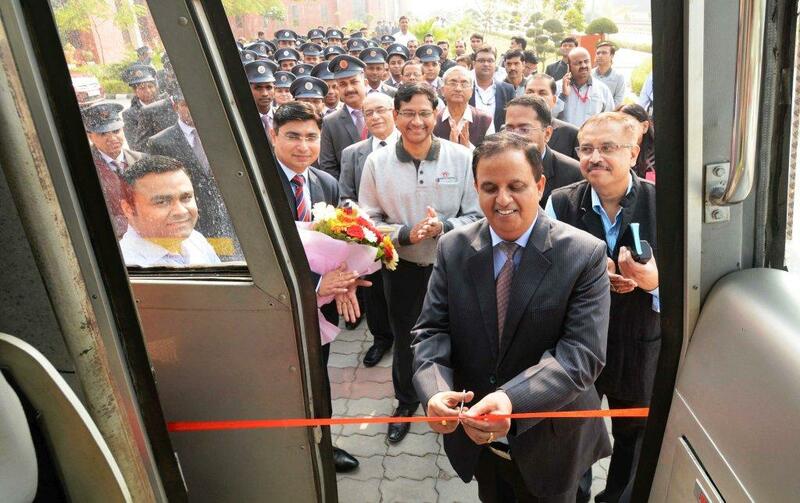 LMRC (Lucknow Metro Rail Corporation) organized a blood donation camp in association with HDFC Bank Ltd. and SGPGI of medical sciences, Lucknow at Transport Nagar Metro Depot today. 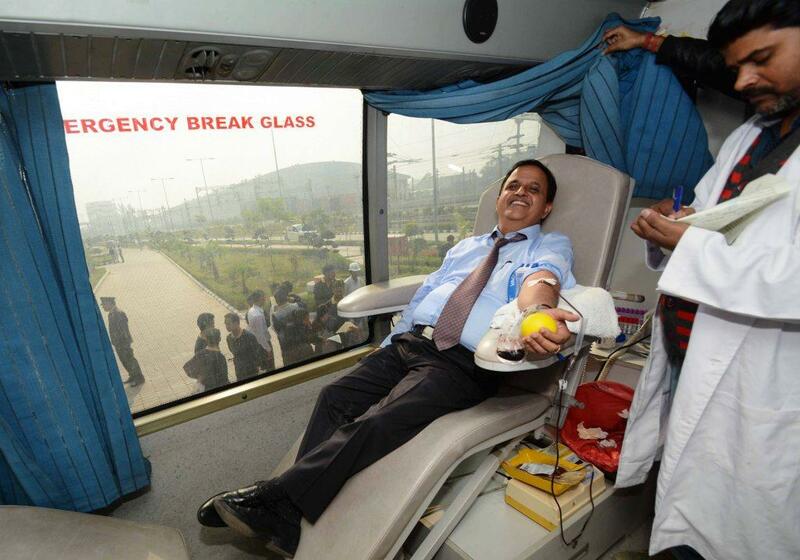 Shri Kumar Keshav, Managing Director, LMRC first donated blood followed by Directors and other employees of Lucknow Metro. This camp was organized from 10 am onwards and continued till 3 pm in Transport Nagar Metro Depot. 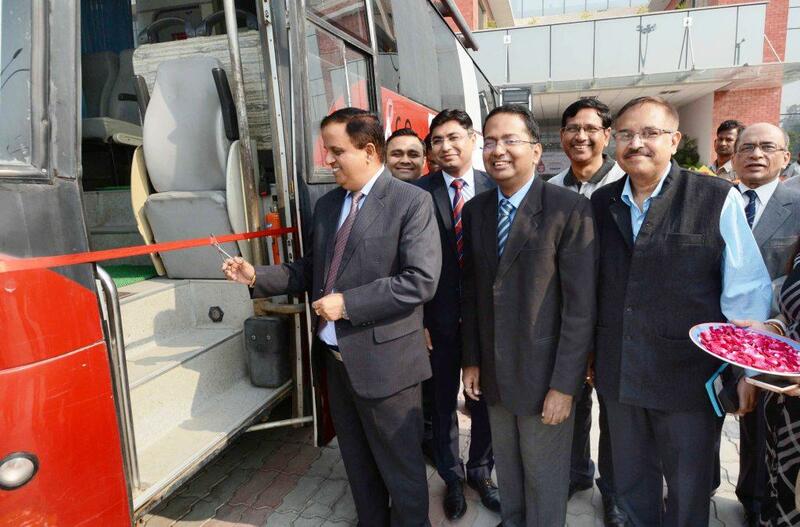 Shri Kumar Keshav, Managing Director, LMRC inaugurated the blood donation camp by cutting the ribbon of blood donation mobile van. Speaking on this occasion he addressed LMRC’s employees,” Your blood contribution is quite vital and will definitely help in saving many precious lives in an emergency. We should try our level best to support this noble cause for the betterment of our society.” It is an initiative of LMRC to sensitize and mobilize its staff to donate their blood voluntarily. HDFC has been organizing such blood donation drives for the past 12 years since 2007. This is the first time they have collaborated with LMRC as a part of CSR (Corporate Social Responsibility). A team of 3 doctors along with their medical staff from Transfusion Medicine Department of SGPGI collected blood units in mobile van stationed in the Metro Depot. All the volunteer donors were presented with blood donation cards, donor certificates and a complimentary gift for being part of this noble cause. The blood donation card presented to donors can be used for accessing blood in an emergency situation for themselves and their families within 3 months. It was a golden opportunity for the employees of LMRC to step in to save the lives of others by contributing for this noble cause in every possible way they could and this blood donation initiative turned out to be a great success overall. LMRC will look forward to organizing and actively participate in similar blood donation camps in future with same vigor and enthusiasm.